I hope you all had a wonderful Christmas!! I had A Very Merry Christmas and looking forward to the NYE celebration. Can you believe we only have one more day left in 2017? What are your plans for NYE? If you are having a vision party, house party, or celebrating at home I have the perfect dessert for you. 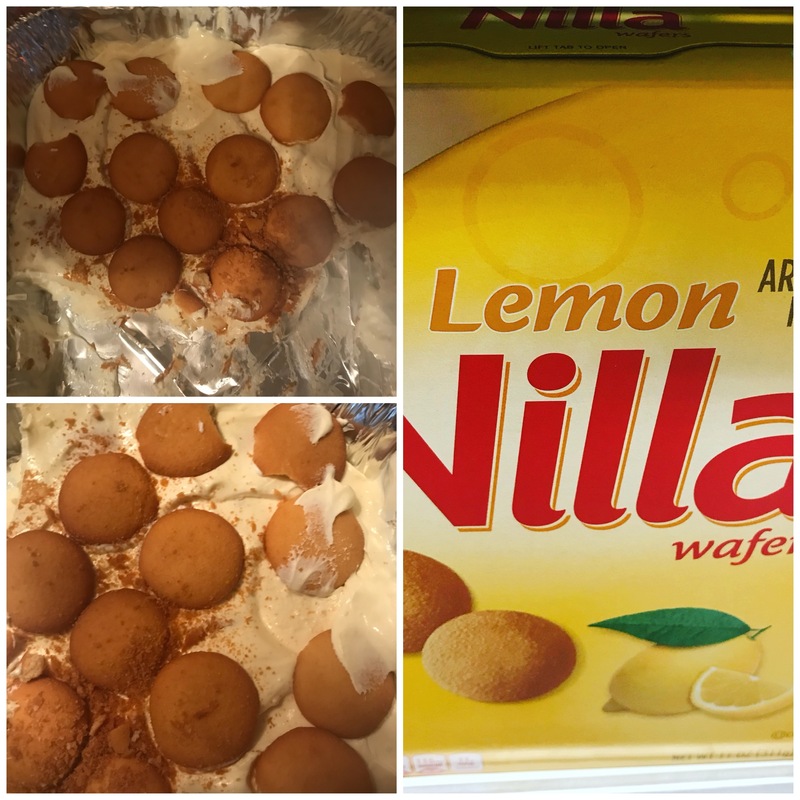 I am so excited that Nilla wafers have a lemon flavored cookie and it is delicious!! I couldn’t wait to create a recipe with the cookies. My recipe is full of lemon flavor and will be really cute in mini dessert cups. I am already thinking of what else I can add to this recipe to make it better or just a whole new twist. I hope my recipe is a hit in your house or party! Let me know your thoughts and what you think I can add to make this recipe even more delicious. Allow your cream cheese to soften ahead of time. Once your cream cheese is nice and soft beat the cream cheese and powder sugar together. Next add your condensed milk, cool whip, and lemon juice from your fresh squeezed lemons. Layer your cookies in the bottom of the pan and add mixture on top of the cookies. Continue to repeat steps with layers until you run out of mixture. Allow dessert to cool in the refrigerator for 1-2 hours. This is also a quick and easy dessert that will save you time if you make it the night before too. Now, this looks easy to make and delicious! Thank you!!! It is very easy!!! I am thinking of more ideas for the cookies! !